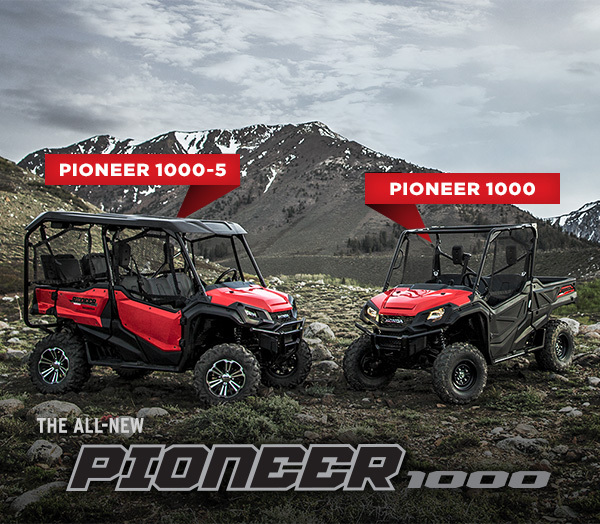 TORRANCE, Calif. (June 11, 2015) – Honda today announced the addition of two brand-new full-size side-by-side models—the groundbreaking Pioneer 1000 and Pioneer 1000-5—to its 2016 lineup. With class-leading displacement and payload, a 6-speed fully automatic Dual Clutch Transmission (DCT) and a full list of features and options, the flagship Pioneer 1000 promises to raise the bar in terms of power, performance and capability in both work and recreation applications. 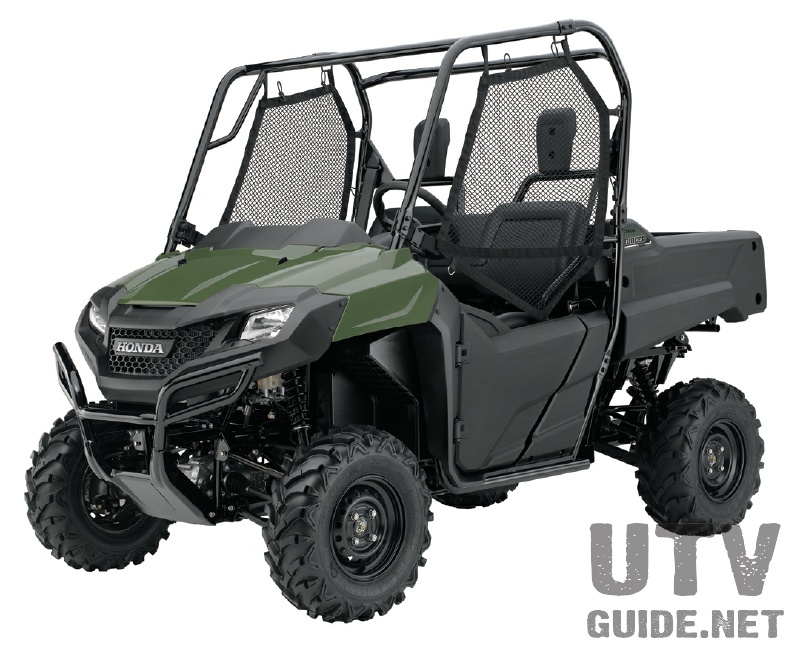 Immediately assuming its position as the clear leader in the full-size multipurpose SxS category, Honda’s new-from-the-ground-up, no-compromise Pioneer 1000 is powered by a purpose-built inline, twin-cylinder, Unicam® 999cc engine. It’s also the first side-by-side with a 6-speed fully automatic DCT, a state-of-the-art beltless transmission that is durable, efficient and easy to use. Designed, developed and produced according to Honda’s holistic methodology, the largest Pioneer is smooth-riding and extremely versatile. Built in the USA using domestically and globally sourced parts, the Pioneer 1000 is offered in four different configurations, from the base three-person version to the Deluxe five-person model, which features 14-inch aluminum wheels, 27-inch radial tires, LED headlights and electric power steering. 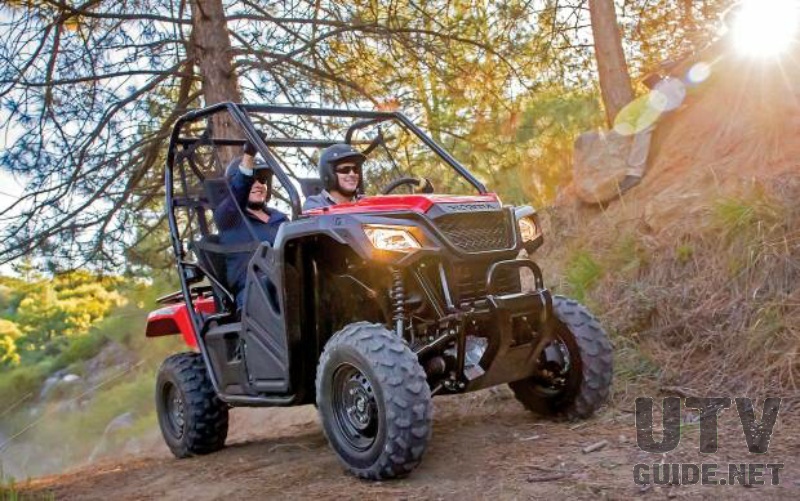 Every Pioneer 1000 comes standard with four-wheel-drive, as well as a high-low sub-transmission and 4-mode differential lock, while the five-person model features auto-leveling rear suspension and a full-size convertible bed with Honda’s exclusive QuickFlip™ seating. An extensive range of Honda Accessories is available, and the Pioneer 1000 is covered by a one-year warranty. Since its introduction, Honda’s Pioneer 700-4 has set new standards in versatility, thanks to the industry’s first QuickFlip™ convertible rear-seating design, which switches between two-, three- and four-person configurations. In all cases, wheelbase remains a manageable 76.8 inches, and in the two-person configuration, it provides a full bed with tilt mode. Both versions are powered by a rubber-mounted 675cc liquid-cooled engine that’s paired with an automatic transmission with automotive-style torque converter and a dual-stage shift map. Introduced last model year, the compact Pioneer 500 is easy to maneuver in tight conditions, and it fits into a full-size truck bed or a small storage shed. This fun and affordable 4WD vehicle does it all in style and comfort, with a similar look to the larger Pioneer models. It also has steering-wheel-mounted paddle shifting, 450-pound-capacity large rear carrier design, independent rear suspension and single-function door and net. 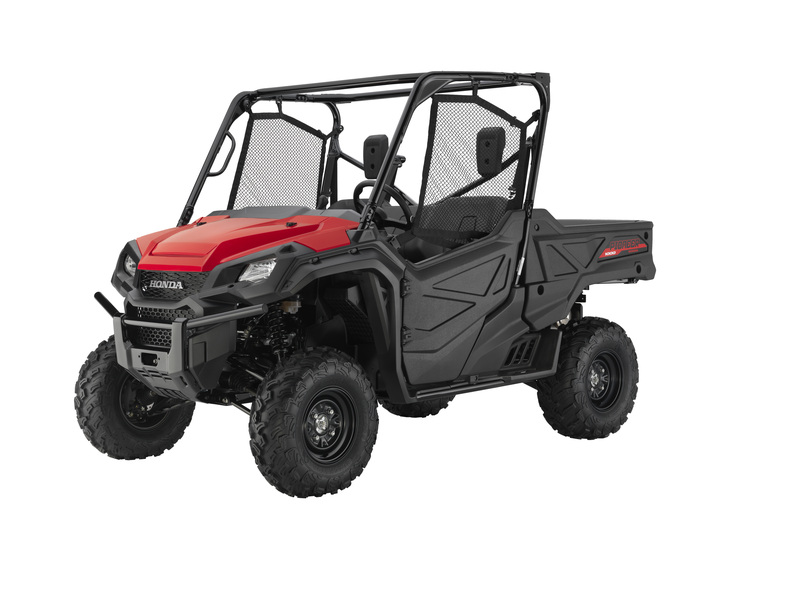 And of course the Pioneer 500 has the superior engineering and record of durability and reliability for which all Honda four-wheel powersports products are known.